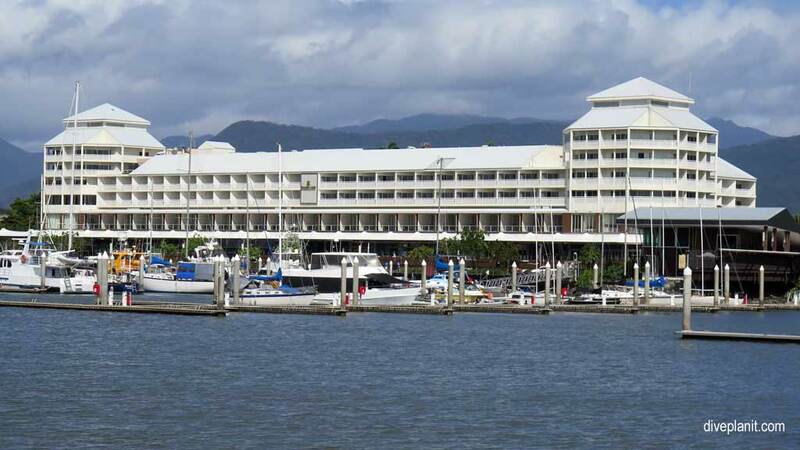 Cairns is the tourist capital of tropical Far North Queensland with lots to do in Cairns beyond just diving. 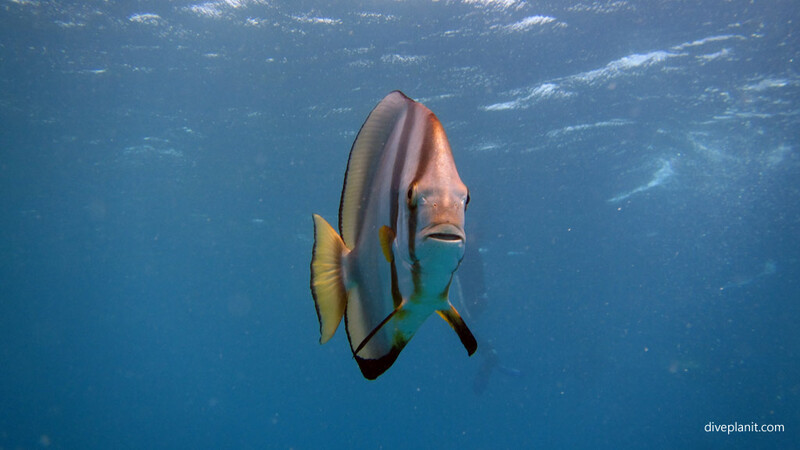 This makes Cairns one of the best places for a scuba diving holiday because the divers get to dive the Great Barrier Reef, whilst everyone else is catered for too, whether they simply want to snorkel the Great Barrier Reef or stay dry and go in land. 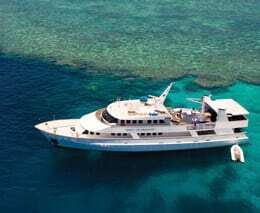 It’s considered the main gateway to the Great Barrier Reef as it’s the departure port for both many of the day boats to the outer reefs and the liveaboards that explore the ribbon reefs and Coral Sea. 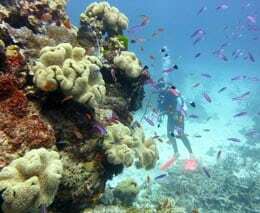 The former offer Great Barrier Reef cruises and snorkelling on the Great Barrier Reef, but also diving, the latter are exclusively for divers. 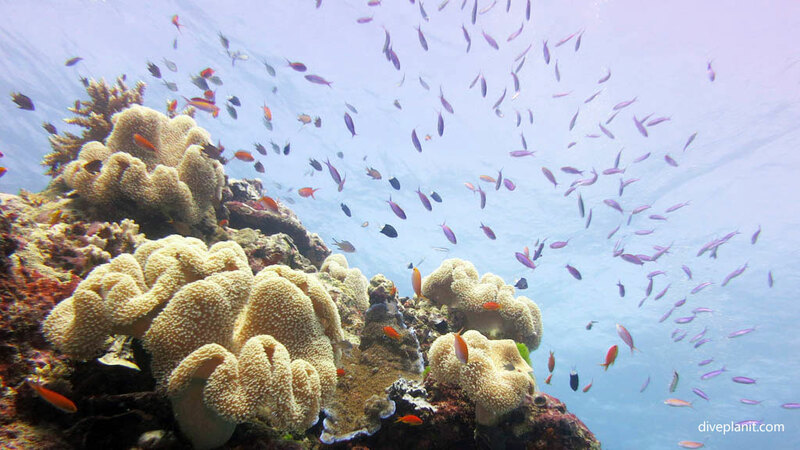 Outside of diving Cairns is a reasonably sized town of about 150,000 people who service mainly the tourism industry associated not just with the Reef, but also the areas inland of Cairns including the Daintree Rainforest and the Atherton Tablelands. There are 100’s of tours, wet and dry, night and day, there are tropical rainforests and cool pastures, you can ride a horse or a white water board, plummet 14,000ft in a skydive or 20m onto coral reef, rise in a balloon, descend in a cable car, you can even visit a bat hospital or turtle rehabilitation centre. See Other Activities below. As you might expect, there is every style of accommodation available, (no need to take your own) and most types of cuisine – though sadly still no Tibetan restaurant. 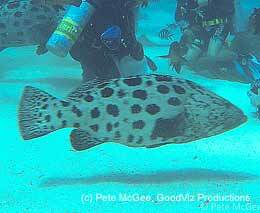 Read this page in conjunction with other destinations around the Great Barrier Reef to plan your perfect diving experience. Cairns is 1700km north of Brisbane. Let’s put that into perspective: start at Brisbane and drive to Noosa, keep going; pass Hervey Bay (near Fraser Island) – the jump off point for Lady Elliot Island – most southerly part of the Great Barrier Reef; keep going; pass Bundaberg and its Rum factory, and onto the port towns of Gladstone, Mackay, Bowen, where we ship Australia’s fossil fuels to India and China; keep going; finally, hit Townsville – yes we’ve heard of the Yongala; and then keep going for another 347 km and you’ll get to Cairns. Fortunately it has a national and an international airport about 12 minutes from the CBD. 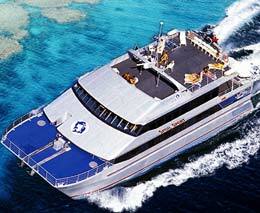 There are a great many operators, offering different kinds of packages from day trips to multiple nights on the Reef. You can read about how to choose an option that suits you on this page. Different operators cater to different markets. Those advertising the quality of the marine environment rather than their sumptuous lunches are probably the ones to home in on. Purely from a diver’s perspective, the following need serious consideration: Deep Sea Divers Den’s Sea Quest (which also services the Ocean Quest liveaboard), Passions of Paradise, the Cairns Dive Centre’s MV Reefkist, (which also services the MV Kangaroo Explorer live-aboard), Tusa 6 and Silverswift, (which operates out of Cairns in much the same way as its sister ship Silversonic operates out of Port Douglas). You can read about a couple of the different options on the links below. 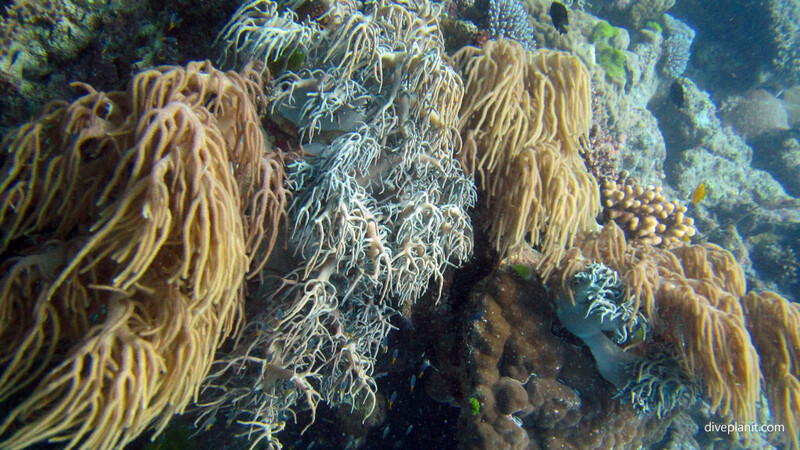 Typically you don’t pick your reef – you pick an operator and they have particular moorings they use on a rotational basis on ‘their’ reefs. Having selected the operator, you’re going to a particular reef, but the dive sites will be determined on the day according to conditions. 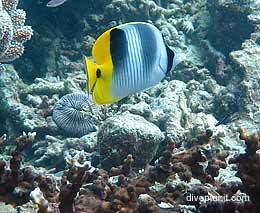 Of the outer reefs, it would be unfair to say that any one reef is better than any other. What you will see on any given day could be completely different from what someone else saw there the day before. 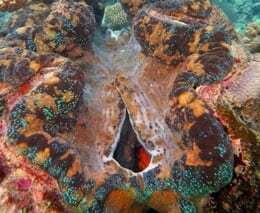 Below are some dive logs from a couple of the reefs and dive sites close to Cairns which should give you a feel of what you can expect to see. 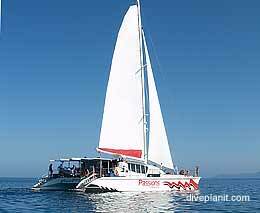 You can also read about a live-aboard experience here. If you’re feeling flush I can recommend the Shangri La which faces the marina. 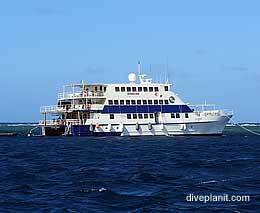 After a hard day on the ocean floor you might want to treat yourself to a little luxury. 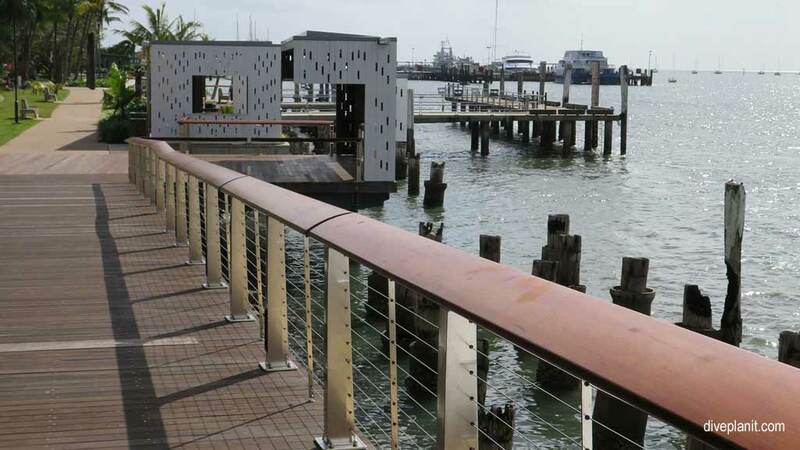 Plus, it’s very close to the marina – like spitting distance – and there are some pleasant dining options with water views on the doorstep. Check out their specials – you might be pleasantly surprised. If you’re not feeling quite so flush: you can try a backpackers or the YHA – both are central. Gilligan’s Backpackers Hotel and Resort, 57-89 Grafton Street where you can get a dorm bed for around $30. 600m walk to the marina. The YHA is also reasonably central, 20-26 McLeod Street, Cairns. 800m walk to the marina. 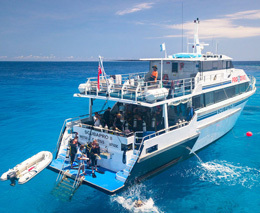 If you plan to do a few days diving, seriously think about a live-aboard (rather than a number of day trips) like Ocean Quest, Taka, Kangaroo Explorer or Pro-dive (as you’re saving money on accommodation and food). A note of caution: despite being out of town, places on the Northern Beaches, (like Palm Cove which is mainly bigger resorts), are not much cheaper. 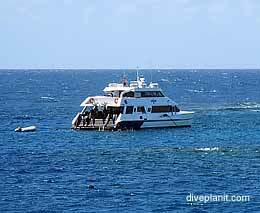 Though the buses are cheap, and reasonably frequent, the diving day is usually too long to spend time on a bus. I’m not falling into the trap of recommending anywhere to eat in Cairns, as each time I return I find the place I enjoyed last time has either closed, is under new management, or is now just full of rowdy backpackers. The only exception is Salt House right on the Marina. 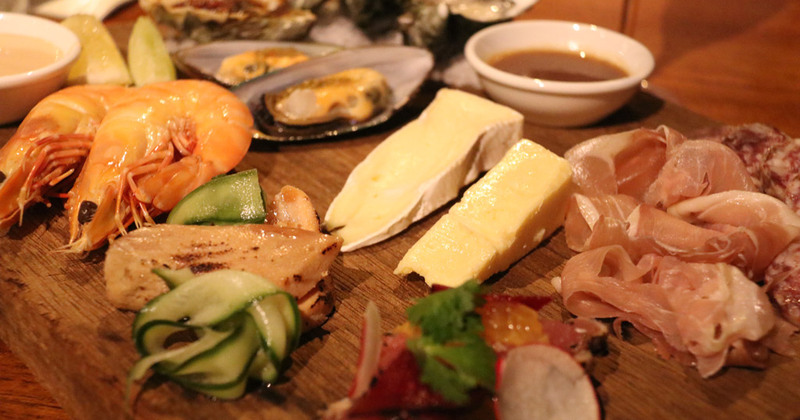 It’s a Cairns institution not to be missed at any time of day: breakfast, lunch or slap-up dinner. Or just pop-in as you come off the boat from your trip to the Reef and enjoy some tasty snacks and a cold one. Down town you can walk, in fact, you should walk as there is a pleasant walk-way with plenty of cafés all the way around the foreshore. Getting to and from the pier with your gear: this should be complimentary with any operator (unless you’re in the Northern Beaches). Make sure that it is included, and know where and when you’ll be picked up. There’s a perfectly good (and cheap) bus service to get you from down town to the suburbs should you need it. If you are planning to explore the rainforest, the Tablelands or outside of Cairns generally, hiring a car would be a smart move. 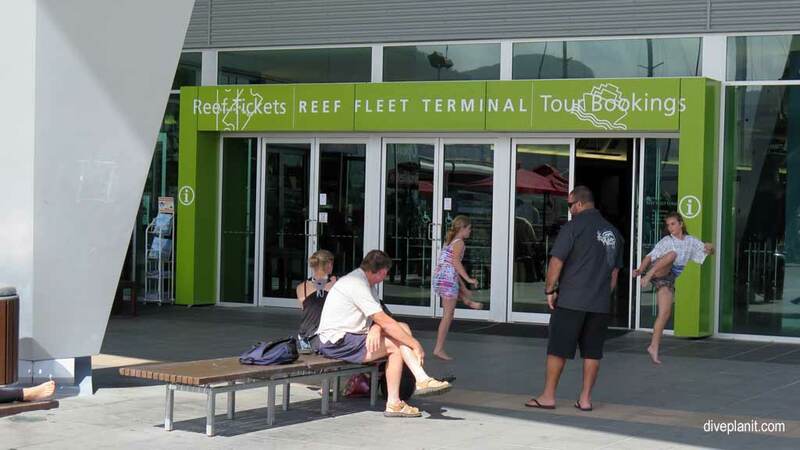 A large number of car hire companies operate from Cairns airport. You can search for deals across all the companies here. 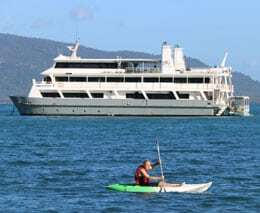 Apart from all the day boats and live-aboards, what else is there to do in Cairns? Below are a few suggestions – from the hundreds available – but first a couple that are unique to Cairns and you’d be crazy not to if you’re there. 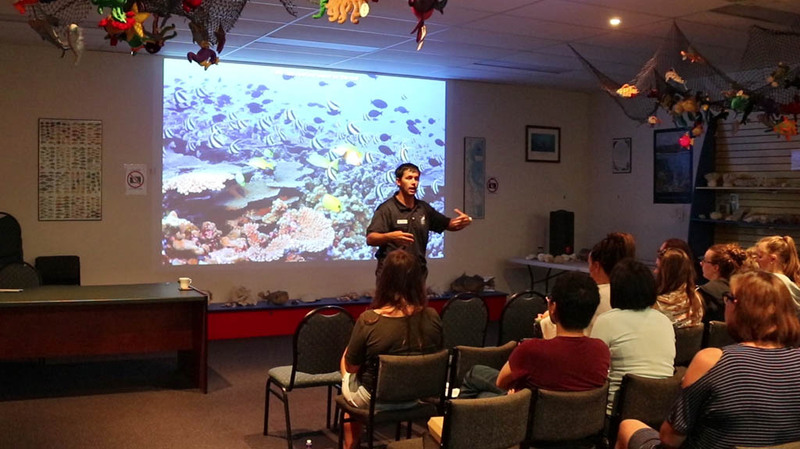 Join an evening session at Reef Teach for an entertaining and informative introduction to the Reef. 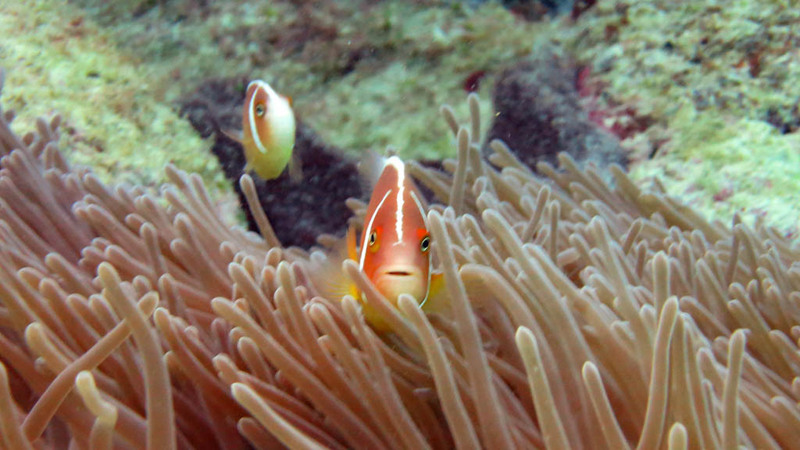 Full of amazing facts and beautiful images, woven together to help you understand how the Reef works. 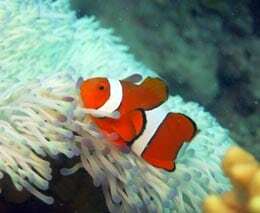 From the tiniest little creatures that you hardly know exist, up through the various species of fish and marine mammals. 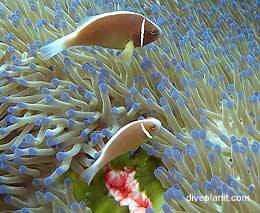 You will enjoy your time on the Reef so much more – understanding the complexities of what you’re seeing. Discover the world’s oldest living culture at Tjapukai Cultural Park, one of the most authentic Aboriginal experiences available in Australia. Not just Aboriginal story-telling via an impressive sound and light show, and didgeridoo performances, but also you get to do stuff like painting (yourself! ), and throwing spears and boomerangs – so they come back (not the spears though!). There are day and evening performances, and of course, a cafe and restaurant. Now you know about the must do’s – here are some of the many other options available. Kuranda: a town on the Barron River is accessible via a scenic railway that winds up the mountainside through lush rainforest. 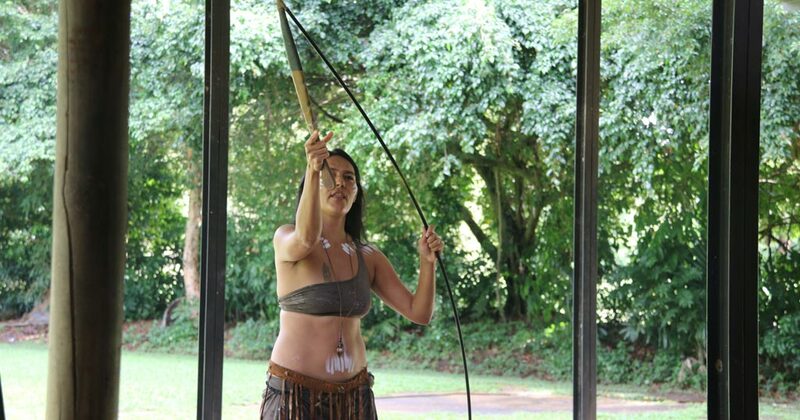 At the top there are a multitude of options: a ‘village’ with markets, a Butterfly sanctuary, a ‘Rainforestation’ Nature Park, a Koala and Wildlife Park, even an Aboriginal Dance Experience. Usually the return trip is via the Skyrail Rainforest Cableway. Select a package to suit your budget! Conversely, you can pack a sandwich, catch a bus to the train station and create your own little adventure. There are a number of different river based activities from the reasonably relaxed and family friendly river tubing, to adults only river boarding. White Water Tubing: Aussie Drifterz River Tubing Tour – family fun. White Water Rafting: Foaming Fury and Raging Thunder – full and half day options, for families with kids and backpackers. White Water River Boarding: Rapid Boarders – daily (early!) departures from Cairns (no kids). Atherton Tablelands – escape the heat and crowds and head south up to the cooler Tablelands with gourmet food and wine trials, waterfalls, and rainforests, and wild life – particularly birds. Everything to plan your trip can be found here. There are a number of other day trips to the Daintree rain forest and local wildlife attractions under the Port Douglas listing. 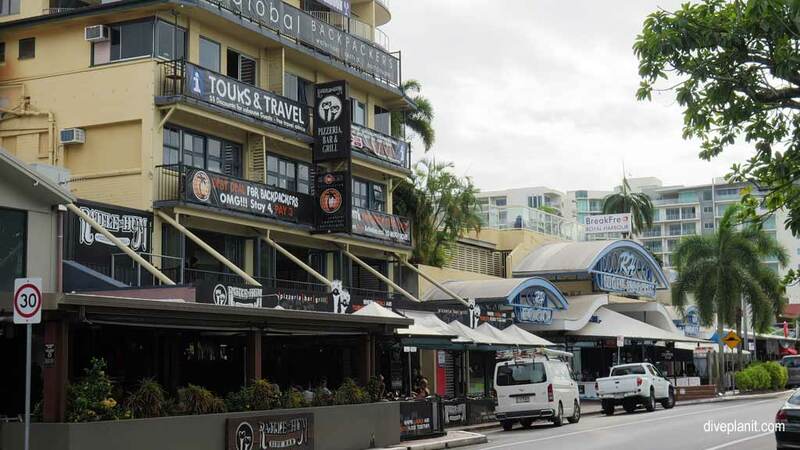 It would be remiss not to mention the tourist Night Markets underneath the Royal Harbour Hotel, and the fact that Cairns has a casino at the Reef Hotel – if you are that way inclined. There is no beach at Cairns – it’s on a muddy estuary. Most hotels have pools – some even with sand so your kids can pretend they’re at the beach. 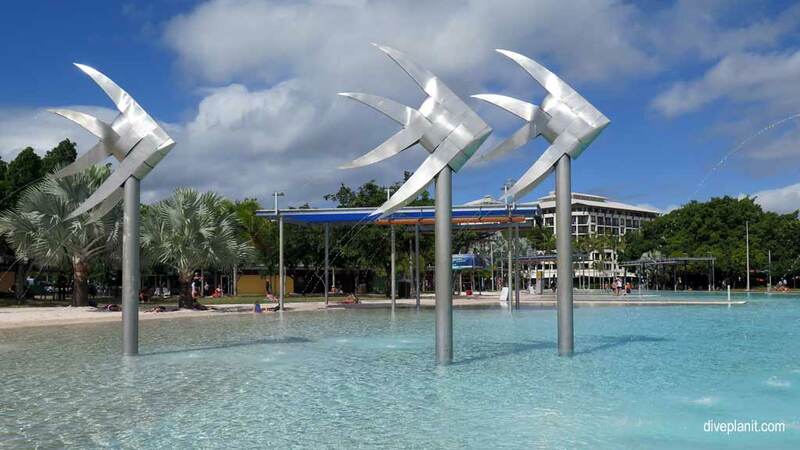 The Foreshore is a nice level walk, and there is the Cairns Esplanade Lagoon Pool – complete with BBQs, shade and water fountains, if you need to cool off. 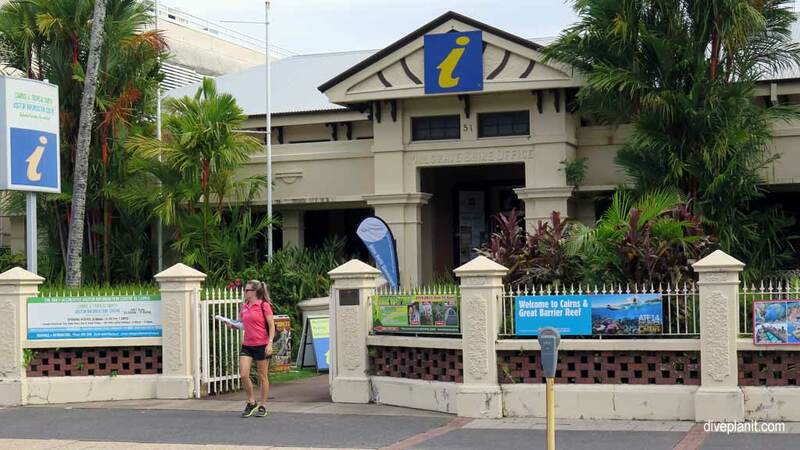 There are plenty of establishments claiming to be a “Cairns Tourist Information Centre”. Apparently this is the real one on the esplanade. 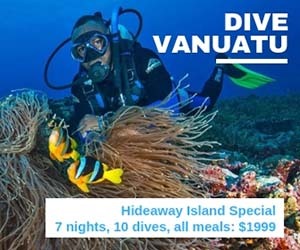 Travstar.com doesn’t pretend to be any kind of official website but does has a number of package deals with different combos of reef, rainforest, rafting and accommodation. Likewise, plenty of Web sites claiming to be the Cairns Visitors Information Guide, for example, Geko Enterprises Ltd trading as: Cairns Visitor Centre, are worth a look. From my experience, these places have great sales people, but the prices are the same as you’ll pay by booking direct. 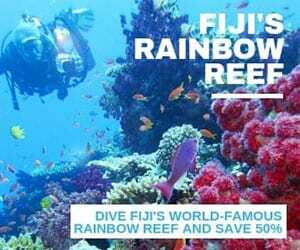 They can save you the hassle of going to three different sites and booking reef and rainforest tours and accommodation individually, but the only way to bundle and save is if the operator owns both tours and/or the accommodation. Most people living south of Cairns would say the best time come is winter: (June – August) when the humidity is low and you can still dine out in shirtsleeves. During spring: (September – November) things start warming up. Summer: (December – February) is both the hottest and wettest time of the year (expect some tropical thunderstorms). Autumn: (March – May) is also a good time to go, still warm and less rain. If you really don’t like heat and/or humidly, you can do a little climate research here. 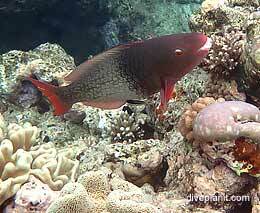 Final note: Minke and Humpback whales migrate during winter; coral spawning happens in spring. Check out details directly with operators that offer tours specifically covering these events. Below are the direct flights to Cairns, depending on where you are coming from and want to go to, you might need to connect via the airline’s hub. Qantas (in conjunction with Jetstar) has direct flights from all the major Australian capitals (except Tas!) at least daily, and a number of flights on different days from a dozen other towns. Qantas also has international flights from Tokyo and Osaka. Virgin have daily flights from Melbourne, Sydney and Brisbane. Check out Tiger Airlines too as they are expanding many of their regional routes. Air New Zealand fly from Auckland, New Zealand daily. Cathay Pacific fly from Hong Kong four days per week. There are also seasonal services by China Eastern to Shanghai and China Southern to Guangzhou.